Lincoln Elementary was one of several schools Duluth built and named after prominent Americans, including Washington, Jefferson, Adams, Franklin, Madison, Monroe, Bryant, Grant, Emerson, and Longfellow. When first built, Lincoln was a two-and-a-half-story Romanesque building with a central bell tower made of brick and sandstone from the Flag River Quarry. Its design was nearly identical to that of Franklin School, and its main entrance faced Fourth Street. By 1904 the building’s twelve classrooms had become cramped, so an addition was made—one of many that would occur over the next one hundred years. A junior high school, facing Fifth Street, was constructed behind Lincoln in 1915 and connected to the elementary school through a simple corridor. A 1930 addition added a wing east of the main building that housed shop classes and music programs. In 1951, Lincoln was severely remodeled: the tower was removed, the pitched roof flattened, and two three-story wings were added. Today the work of architects Palmer and Hall has either been removed or completely hidden. Lincoln closed in 2011 as part of the Duluth School District’s Long Range Facility Plan. Originally slated for demolition, the building received a new lease on life when Sherman & Associates purchased it for $1 in 2011. 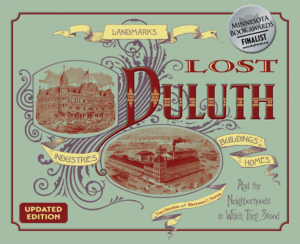 The firm plans to work with the Housing and Redevelopment Authority of Duluth and Duluth Local Initiatives Support Corporation to find ways to adapt the building so it can continue to serve Duluth’s West End. 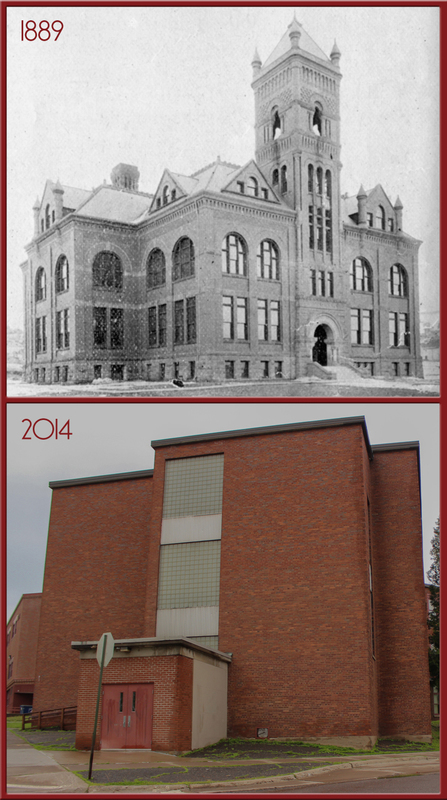 Historic photo courtesy Duluth Public Library; modern photo by Jim Davis.